But for me it was a complete life in itself…. And finally sharing experience and living life to the fullest without any tension…. Pondered over silly things overlooked exams…. 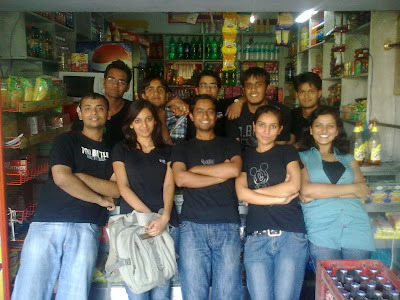 Masti, fun and only masti all the time…. Fighting with one another without any reason…. And then sleeping whole day…. Instead of eating, the whole cake was put on friends’ face…. And fighting over a sip of cold drink or a chocolate…. Enjoyed those moments without any tension….. So that everybody could pass….. Tension of one could be reflected on everyone’s face…. At that time nothing cud make us fell weak or like a looser…. Where love, care and sometime emotional drama made a good melody…. In this journey we transformed into something that any1 cant believe…. The path travelled now seems more beautiful than the destiny…..